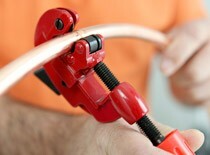 We appreciate that finding a reliable, trustworthy and skilled local plumber can be an uphill battle at times. Well, we're here to change that. We pride ourselves on providing you with superb efficiency, professionalism and, most importantly, our expertise in tackling every single one of your plumbing requirements. As well as never being charged with a call out fee, you can rest easy in the knowledge that all our plumbing work is quality assured and bears the 'Gas Safe Approved' seal. If you've been trying to find a reliable plumber in Sheffield who can provide quality workmanship at very competitive prices, give us a call. We're available on 0114 304 9025, or simply request a call back by entering your name, phone number and a convenient time for us to call, and we'll always give you a free, no obligation estimate. We employ some of the best plumbers around, meaning you're guaranteed a quality service that will make you come back time and time again. We don’t think it’s fair to charge customers a call out fee, so we don’t charge one! Give us a call and we’ll arrange for a plumber to visit. Where ever you are in Sheffield, we’ll be able to help with all your plumbing needs. Whatever you need, be it a dripping tap or a new bathroom!